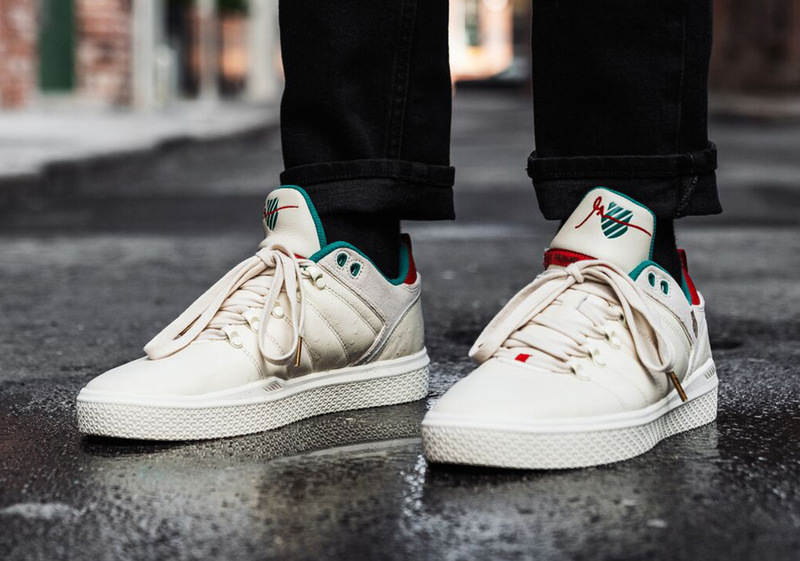 As their 25th anniversary celebration comes to an end, Shoe Palace is tapping into the creative and entrepreneurial lens of the influential Gary Vee to put together a special K-Swiss silhouette given a fitting “GaryVee SP25” monicker. Inspired by the grit and determination that has led to success for Gary Vee and Shoe Palace over the last few decades, it boasts premium leather equipped with dual-branding and hidden messages the likes of “Follow Your Dreams” and “Conquer Your Fears” on the insole of each sneaker. Green and red accents scattered throughout the model provide a jovially seasonal touch, with premium lace tips and an SP-branded heel pull tab. Pairs just released today, December 4th at select Shoe Palace locations in Palo Alto and on ShoePalace.com, and those who purchased pairs will receive tickets for a chance to attend a special holiday part on the 11th. Hosted by Gary Vee, the party will take place from 6-9 pm with free food, drinks, and holiday activities at the aforementioned Palo Alto location at 451 University Avenue. Grab a detailed look at the new K-Swiss”GaryVee SP25″ sneaker below and tell us if you are lucky enough to win a free trip to California for the party.